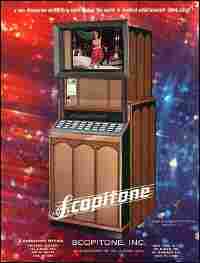 Rise and Fall of the Scopitone Jukebox In the hip and swinging days of the 1960s, a strange contraption called the Scopitone jukebox seemed poised to be the next big thing. The machine the size of a refrigerator projected short films on a 26-inch screen that were precursors to modern music videos. 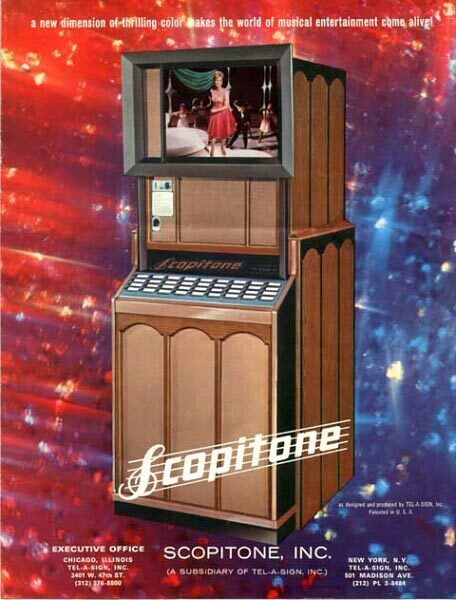 The Scopitone was already a huge hit in France when it was introduced to America in 1964, at the Los Angeles Ambassador Hotel. In the hip and swinging days of the 1960s, a strange contraption called the Scopitone jukebox seemed poised to be the next big thing. The machine the size of a refrigerator projected short films -- precursors to modern music videos -- on a 26-inch screen. Independent producer Jennifer Sharpe investigates the rise and fall of the Scopitone jukebox -- and finds a rare, working model not far from her home in Southern California.